Veterans Village announces it will begin construction on a new Village by Sands Cares in downtown Las Vegas. LAS VEGAS (KTNV) — Veterans Village announces it will begin construction on a new Village by Sands Cares in downtown Las Vegas. The unique housing complex will expand the Village's second campus located at 50 N. 21st Street, north of Fremont Street. 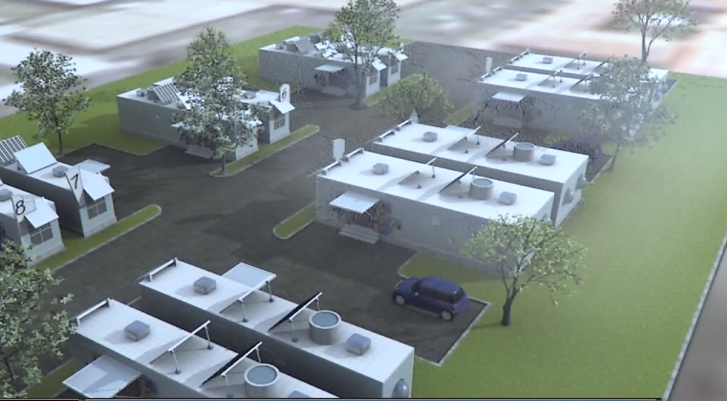 The site will feature 10 container homes from converted shipping containers and be the first of its kind housing project for United States Veterans, according to a company spokesperson. This project is planned to be a ground-breaking grassroots solution to the critical need for housing in Las Vegas and across the country. “This construction aims to create a comprehensive housing solution to meet the need for affordable housing. It also provides stability and support for U.S. Veterans to successfully transition back into civilian life,” said Arnold Stalk, founder of Veterans Village Las Vegas. Funding for the housing addition has come from Sands Cares, the Raiders Foundation, Pisos Dispensary, Operation Tiny Home, and Laborers Local 872 donations.